On a cold winter’s night a snowman comes to life and befriends the little boy who built him. After exploring the boy’s house together and sharing a candlelit feast, the pair fly across the frozen countryside, before racing home to beat the dawn, but wonder turns to sadness. The next morning, the boy wakes to find his snowman has melted. 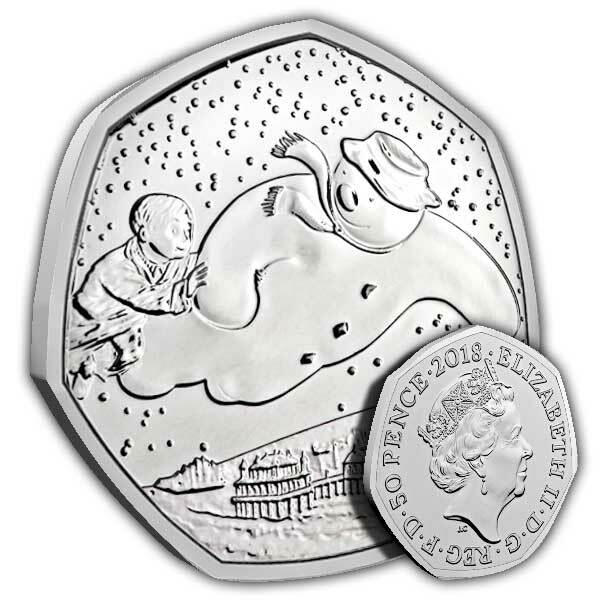 As the story of The Snowman turns 40, The Royal Mint is excited to present this commemorative coin struck especially for the occasion. 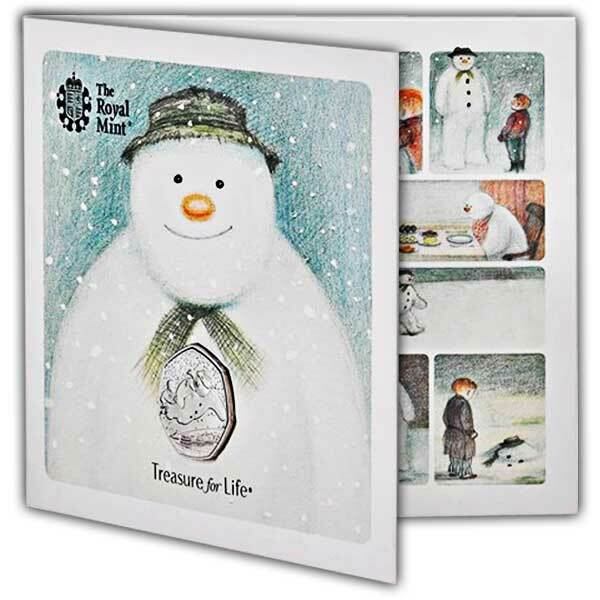 Raymond Briggs’ celebrated characters are brought to life in a wonderfully dynamic design – modelled by Robin Shaw, Assistant Director of The Snowman and the Snowdog. The boy and the snowman soar through the night sky together above the twinkling lights of Brighton Pier – a beautiful keepsake that captures the magic of this enchanting festive favourite. Very pleased with the coins I received. Delivery was quick after the release of the coin. A nice addition w my ever growing collection. It's a beautiful coin to celebrate 40 years of the first snowman 50 pence coin. Inserted in a Christmas card just gives it a lovely touch for somebody this Christmas . This is a lovely coin which comes in a nice booklet with lovely detail. The coin also has lovely detail on it.